If in today’s world, you get a free deal, then how good is this? Doesn’t it sound rocking? As per I think, this is the topic of your interest and it will grab your attention. 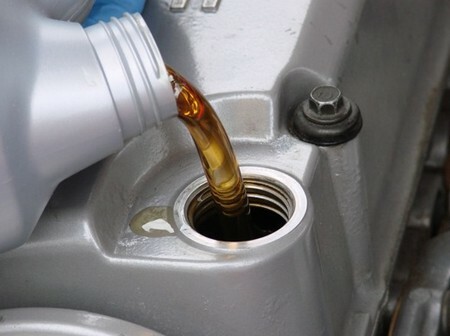 Go through this topic and find out the list of so many different ways through which you can enjoy oil change without any cost of your vehicle. When you buy a new car, dealerships use to offer free oil change over purchases of vehicle, but one can’t run down again and again to buy a vehicle and that’s too for just an oil change. It sounds weird enough. Dealerships use to offer variety of ways, through their different deals for you, to get an oil change free of cost. When you go out for service, ask them that what services they have for free oil change alongside others on repairs. Get a knowhow about those special services to get free oil change. Another good way of getting free oil change is through coupons. Today, you will find coupons nearly in all groceries items or other things. Coupons like buy this and get this free or buy something and get additional free on that. That’s a best way too. Search for the free coupons of oil change too. You will find that upon some special services, coupons would be available like, Welcome to your own garage, get free oil change over repairs etc. Service centers these days are also aware of the trend of advertisements. They want each and every customer, who visits them once, as their regular customer. For this purpose, they use to launch different new attractive deals, which 90% of the times are much useful and pocket saving for the customers. You can also find a deal of free oil change or car wash over some kind of repair from there. They will do so because they know that if they will please you, you will please them automatically by referring their service center to your family or to your relatives. Many of the service centers are also on internet for their advertisements. So Google it, you will find one or two websites for free oil change as well. They will simply require your bio data, such as your name, address, age etc. You must be over 21 years of age to get down registered. Then after checking, they will assign you a time upon promise for not using your information anywhere illegally. They will tell you the time when you need to reach their service center alongside filter and oil. In today’s world, its gold to get something free, and you by following these steps, can get a free oil change.